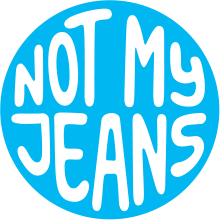 Not My Jeans is a one man game studio consisting of Mårten Brüggemann. I make game experiences with tight, often touch-based interactions. I sometimes make games with friends, but most of the time I geek out and just do everything by myself! I founded the console & PC game studio Pieces Interactive in 2007. I worked there as lead game designer and creative director. With Pieces Interactive I worked on the Magicka games. But more importantly (for me), it's where I got to develop my own first BIG game, the guitar-controlled platformer Fret Nice. The past few years I’ve also been creating digital toys at the award-winning children’s app studio Toca Boca. I’ve created such apps as Toca Lab, Toca Town, Toca Nature and latest Toca Kitchen 2. I hope to bring the experiences I have at Toca Boca into making games for even older kids (aka grown-ups).